ST.PETERSBURG (Sputnik) - A new Russian missile corvette is set to be launched Saturday at a shipyard in the country’s northwestern port city of St. Petersburg, the manufacturer said. "The launch ceremony of Project 22800’s second ship called Shkval will take place on May 5 at the new shipyard complex Pella," the statement read. 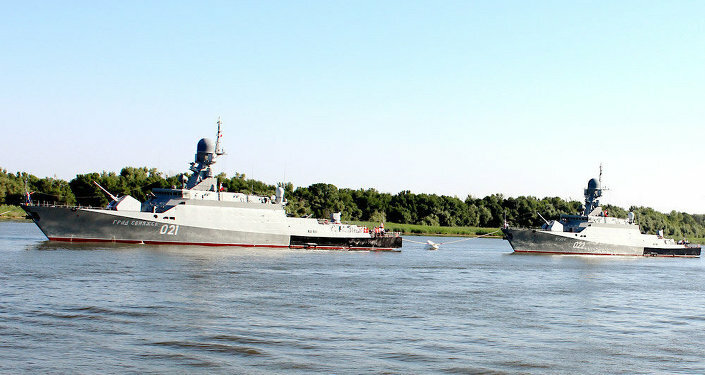 The 800-ton-displacement corvette designed by the Almaz central marine design bureau is 67 meters (220 feet) long and 11 meters (36 feet) wide. It can travel at 30 knots at a distance of up to 2,500 nautical miles. This class of corvettes is equipped with high-precision missile and artillery weapons as well as means of radio-electronic warfare. The warships are distinguished by their high maneuverability and overall stealthy design.